The kindness of a mother’s love is found in all living beings. 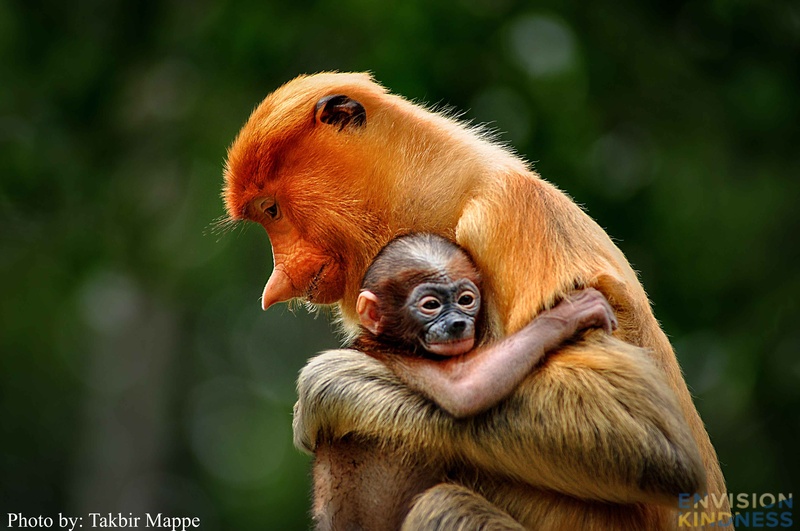 This image of the proboscis monkey (Nasalis larvatus) or the Dutch Monkey is a wonderful example. The tenderness with which the mother holds and nurtures its child is simply moving. The proboscis monkey is an endemic species that inhabits mangrove forests on the island of Borneo (Indonesia, Malaysia and Brunei). This image was selected as a Finalist in Envision Kindness’ 2018 Our World is Kind Photography Contest.